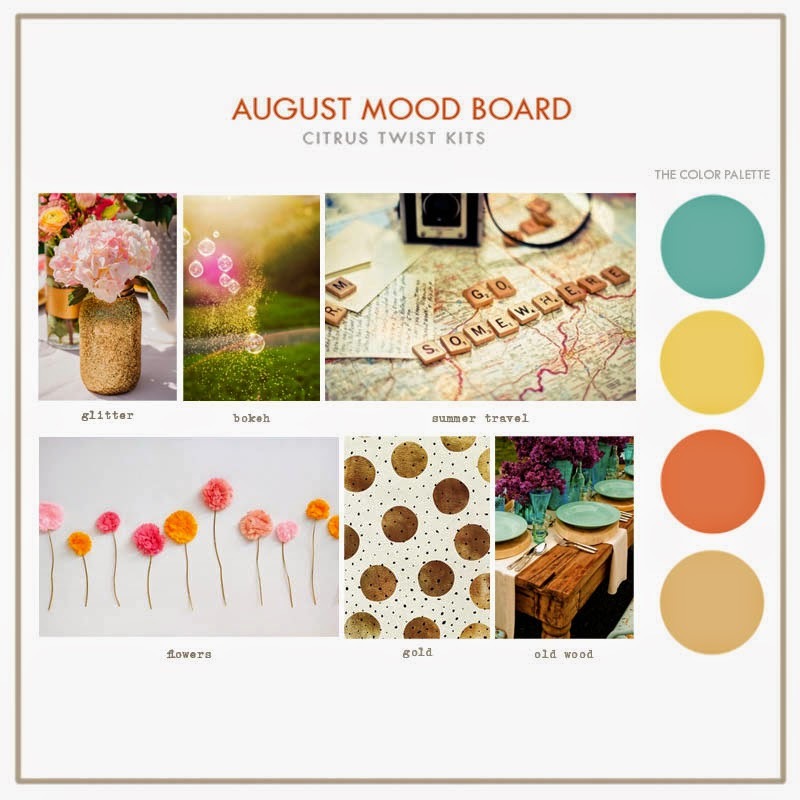 Welcome to August's 2014 kit Mood Board. This month's Main and Pocket Life kits are perfect for capturing the last sunny days of summer and ready to welcome in fall, back to school days and dinner alfresco on the porch. Rich teals, warm reds, golden yellow with pops of black and gold, August's scrapbooking kits will have you dreaming big, keeping the faith and believing in magic. Reveal day is on August 4th, 10 p.m. PST here on our Kits page. Pre sale is underway for our subscribers and we have the Citrus Twist Kits store freshly stocked. If you haven't heard, our Facebook Citrus Twist Kits Fan Page--a private CTK forum--is live! Please find us on Facebook and send a request if you'd like to join. We would love to see what you are doing with our kits, learn a little more about you and celebrate a life of scrapbooking and Project Life. "I received my very first CT Pocket Life kit. . . and my stamp subscription. I am smitten and blown away by all the goodies you include in the kits! This is my first ever subscription and I'm already a lifer! . . . I am super impressed with how much you take care of your customers and are prompt in responding too! Thank you again!"